This entry was posted on Monday, March 12th, 2012 at 6:36 am	and tagged with Ali: Fear Eats the Soul, All That Heaven Allows, Angst essen Seele auf, Bigger Than Life, Douglas Sirk, Geoff Andrew, John Belton, Manny Farber, Nicholas Ray, Rainer Werner Fassbinder and posted in Essays, Film Reviews. You can follow any responses to this entry through the RSS 2.0 feed. Great article on one of the best filmmakers of the 50s. I remember when I first watched Written on the Wind and how taken aback I was by its honesty and melodramatic brutality. Written on the Wind was also the first Sirk film I saw. That was on VHS back in, I believe, 1994 and I too was blown away by his lurid and colorful style. Sorry but I thought I deleted that blog. It’s been inactive for some time now. You can unlink it from your blog list. I’m thinking about starting a new one soon and I’ll send you the link when it’s up and running. Is there a way to get rid of unwanted followers on wordpress blogs? I have one that I can’t seem to get rid of. I actually don’t know how to do that. If you can’t find the info, you can always contact WordPress support. Personally, I’m always flattered by stalkers. Brilliant piece,Mike.I love all three Sirk films from CC,his films and P&P films are only 2 bunch of films in which the technicolor blew me away.I think Imitation of life is ok,because it’s toooo mainstream.And I haven’t seen A Time to Love and a Time to Die yet. I think Fassbinder did a great job remaking All Heaven Allows,and my wife loves it more than the original.I think one difference between their films is that Fassbinder films are less emotional than Sirk’s. I’m always trying to hunt down Haynes’s Far from Heaven,I only seen the director’s MINI series Mildred Pierce,also Sirk quality can be seen in it. Another interesting story of three directors from three generations shoot the same theme and personal admitted the inspirations from last one,is Bresson made Pickpocket,inspired by Fuller’s Pickup on South Street and Zhangke Jia made Xiowu,inspired by Pickpocket. A Time to Love and a Time to Die might be my favorite Sirk and I think Far From Heaven is Haynes’ best. I really want to see Xiowu. Great post! Very informative. Keep it up, Mike! Thanks, Zach D. You should chime in more often! ı love your post.thank you for all of them. do you watch Turkısh fılm? Thanks for stopping by. I am unfortunately not that familiar with Turkish film but I like what I’ve seen very much. I’ve seen Nuri Bilge Ceylan’s last four movies and, of those, I thought Distant and Once Upon a Time in Anatolia were great. I also liked Fatih Akin’s The Edge of Heaven; I thought the script was a little contrived but the emotional payoff at the end was worth it. Finally, I saw one older Turkish movie, Dry Summer, and I was really blown away by its poetry and eroticism. What other Turkish movies would you recommend? I would agree that a movie genre can be successfully mutated from one country and era to another. Rainer Weber Fassbinder’s film, “Ali Fear Eats The Soul,” is a melodrama from the 1970s that is based in Germany. It revolved around Emmi, an old Caucasian cleaning lady, falling in love with Ali, a young immigrant from Morocco. It seems Emmi was the center of attention amongst the people of her cultural background because she was an older German woman that fell in love with a young immigrant. As a result of this, she was segregated against in a sense. In Douglas Sirk’s film, “All That Heaven Allows,” produced in 1956, Carey, a widow, fell in love with Ron, a gardener. She is the talk of the town because she fell in love with a younger man that belonged to a social class that was considered to be beneath her. These two films are of the same genre, but are from different eras and different countries. Although these films are from different cultures and eras, they relate to one another. Emmi was from the German culture and Carey was from the American culture, but they were two women segregated against by almost everyone, including their children, because they fell in love with younger men in a class beneath them. In Fassbinder’s film, “Ali Fear Eats The Soul,” the german director outdone himself by making such a powerful film about two people who fall in love but come to a delhiema where their age gap is a problem and facing prejudice and racism. By watching Fassbinder and Sirk’s films, both are equally great melodrama’s and beautifully made. By watching, “Ali Fear Eats The Soul,” Fassbinder did use a lot of similarities with the colors in some scenes and even the story itself was a little familiar to Douglas Sirk’s in, “All That Heaven Allows.” Although both films are based in different eras, they share a similar story on two couples that fall in love and share an age gap with one another and tries to get society to accept them for who they are. I love that both director’s use their characters in scenes where they are either looking at their own reflection in television screens or looking past a railing in an apartment building. The camera angles and lighting that were used in both films were so brilliant and creative. I love that both movies are different and the same in some ways. For instance, the scenes where both couples introduce their significant other to their children and show the same reaction of being upset. Also, the television being important in Sirk’s film to Fassbinder’s film where the television wasn’t that important and it was easily broken. Fassbinder’s film is a simple and touching romance drama that really explores the selfish nature behind human actions. One of the greatest works in cinema, Fassbinder did an amazing job capturing a delicate and deeply resonating melodrama. I agree on that Ali: Fear Eats the Soul offers an object lesson that films can be successfully mutate from another country. All that Heavens allow focus that many people who see it odd for a middle age woman to be with a younger man labels her as a prostitute, cougar, or anything that labels her as a “whore”; that goes for Kirby as well. Cary best friend did said Kirby only married widow women for their money, and to label Kirby he was known as “a gold digger” in her friend’s spectating. Personally, ‘All that Heaven allows’ it’s an optimistic “Disney-like-ending”. Fassbinder just took Dirk’s plot but replacing it with his own plot but similar climax. Many didn’t settle in well with foreigners; just like in America; many were xenophobic, and racist to over sea foreigners. But since this much later in Germany timeline of the melting pot. Dirk’s idea of the film is love with sacrifice, however Fassbinder was more love is a huge sacrifice with age and race, but love has no boundaries. And the ending was more enthusiastic even without an animal in the window to bring out hope. Two plotted films; same loving ending. But with similar lighting, Fassbinder kept the camera to the characters longer than in Dirk’s film, “All That heaven allows”. He want his viewers to just feel and to think how Emmi felt when she was being not just judge but hazed all because of her husband being muslium. And the TV in the reflection on both films was just another clever, and symbolic way of saying they’re trapped in a box, or seeing if they’re truly happy. I feel that the movie Ali: Fear Eats The Soul offers a story that can be related to, no matter the nationality. In All that heavens allow there were two people of the same nationality but they lie in a different social class, the movie was shot in a different region but it grabbed Fassbinder’s attention and even influence him a German, not to be racist, to recreate the story but in a different setting and plot. Fassbinder use of a older woman and younger man copies Sirk original goal but Fassbinder use of a German woman and A Moroccan dives in to a pool that is more unacceptable than a older woman and a younger man. Through out the movie Fassbinder makes you accept the fact that Emmi, the middle age woman, and Ali, the Moroccan, are head over heels in love but everyone around them are disgusted. Though the story takes place in Germany You can sort of relate to the two couple or even the people around them, you might feel envious, or even upset about the pair. when you see Emmi son kick the television then her whole children leave she starts to cry, you can feel for her any mother will feel for her because her children have tossed her aside because she sought happiness. When Emmi starts to see and feel what Ali had felt from her neighbors and so called friends, she feels like Ali an outcast and starts to break, we can all relate to that because we have been looked at as an outsider and it can hurt. When Emmi and Ali return from there vacation everything turns around soon their relationship is accepted, but then spirals downward as Ali becomes confuse with the Sudden changes that surrounds him, you sort of wonder why is Ali doing all these things to Emmi and what drove him to do it. Towards the end Fassbinder shows the viewer the impact of love as the two are reunited though it’s in a hospital, because Ali developed an Stomach Ulcer. No matter the era or region you develop a sense of remorse of the two because they go through so much and as viewer you can relate to it, or use it to tell a similar story of more outstanding Nonacceptance. though the era have change and the story has underwent many changes it still possess the same impact which is outcast, disgust, ridicule, and banishment and to only regain it all trough means that may cause great unhappiness. I am certain that this movie can and will always retain its purpose to every nationality that views it. Both movies have a lot to offer, or in common which ever one you prefer the most in a relationship. it doesn’t matter what the color of your skin is or what race you even you are. it depends on if you are willing to try and don’t give up because of what others have to say, and that’s what happen in “All That Heaven Allows” & “Ali: Fear Eats The Soul”. Emmi and Ali in “Ali: Fear Eats The Soul offers a lot due to be different races. The people there in Germany couldn’t stand seeing two different races being together they had to be the same race in order for them to be happy. “All That Heaven Allows” is just about the same but instead of two different races falling in love it was two different age groups. Cary and Ron with them falling in love, Cary was in her 40s and Ron in his 20s. And since she was much older then him people around town didn’t appreciate them one bit because they were dating. That they should find some one around there age group instead of someone older or younger. both movies are from different eras but at the end they mean the same thing and that they can relate to one another in multiple ways. In finding true love in someone that cares appreciate who are and don’t care what others think. I agree with the filmmakers of making both movies because making diverse movies you can really see how two different race or age group act differently to one other. So making these movies like this is a great way to go. I wholeheartedly agree with your assertion in that Fassbinder’s Ali: Fear Eats The Soul is a great example of how a movie genre can successfully mutate from one country and era to another while still retaining the same core characteristics. Ali: Fear Eats The Soul in itself is a great stand alone film however from watching All That Heaven Allows first it is easy to see it’s direct influence on Ali: Fear Eats The Soul. The unlikely love entanglement in both films is a tool used to incite a reaction and expose the corrosive and intolerant attitudes of outside society. This indirect approach is what allows each film to subtly critique and comment on society of the time. The setting and characters in Ali: Fear Eats The Soul could not be farther removed from those in All That Heaven Allows but the general story and approach are essentially the same. For example, in Ali: Fear Eats The Soul the ups and downs of Ali and Emmi’s relationship follow the same general pattern as that of Cary Scott and Ron Kirby’s relationship. Both relationships begin innocently and happy and then are strained because of outsides pressures. In Ali: Fear Eats The Soul this outside pressure is the negative sentiment of German society towards foreigners which is depicted very clearly in a scene where Ali is refused service at small grocery store by the owner for not being able to “speak German.” The owner in fact did understand Ali however his refusal to serve Ali is a representation of some in German society’s attitude towards foreigners. Also, in Ali: Fear Eats The Soul a tragedy brings Emmi and Ali back together again and strengthens the love between them. 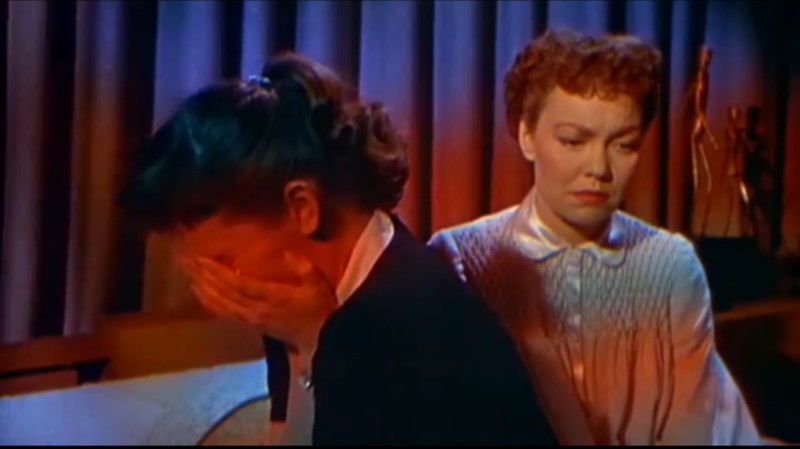 In a scene, near the end of the movie Ali suffers extreme stomach pain and is brought to the hospital where Emmi makes a vow to the doctor that she will remain by his side and keep him healthy which nearly the same ending as All That Heaven Allows where Cary remains by Ron’s side after his accident. Fassbinder’s critique of German society of the 1970’s could be easily applied to America’s attitude towards foreigners in the 2000’s which is an example of this movie genre’s being easily relatable and adaptable. I agree on that Ali: Fear Eats the Soul offers an object lesson that films can be successfully mutate from one country and era to another. In the movie Ali: Fear Eats the Soul was about sixty years old widow in Germany. She was a cleaning women who met Ali, a foreign guy in the bar. They fell in love with each other and got married. Emmi and Ali had to deal with judgments and hate from friends and family. It’s the same thing for the movie “ All that heaven allows” Cary is widow who fell in love with Ron, her gardener. He is way younger than her. Both women dealt with disapprove and judgment from their friends and family because they both fell in love with a guy who’s way younger than them. The differences are Cary is an American wealthy older lady who married a young good looking American man. They didn’t like the fact he’s not wealthy compared to Cary’s dead husband and he’s too young. The people assumed he’s with her for the money and Cary is with Ron for his good looks and body. The movie “Ali: Fear Eats the Soul” Emmi married a young immigrant. Both stories are people frowning upon both ladies for being with someone that younger than them. I noticed that the movie “Ali: Fear Eats the Soul” were more prejudices against Emmi for marrying a younger man because of his race; they treated them worst. Both movies shows how Emmi and Cary are fighting for love even thought everyone around them disapprove. Yes, I do agree that Ali fear eats the soul offers an object lesson in how a movie genre can successfully mutate from one country and era to another. I agree because there have been many movies that are alike that are in different counties and era. Just like the movie The Family which was made in 2013, but resembles the movie Good Fellas because a guy that plays in Good Fellas is also the guy in the movie The Family, who is also in hiding. Ali fear eats the soul is almost the same as All that heaven allows because it still resemble the same things. You can be judge very easily on the person that you are in love with. There was a very good symbol in both the films which were the TV set. In All that Heaven Allows TV set implies that she is lonely and the TV is the only things that keeps her entertain, but it isn’t because she did not watch it. In Ali fear eats the soul shows the same things, but in a different mindset because her son kicks the TV till is breaks and then tell her that he has paid for it. Both charters in the movie fall in love with a younger guy and get disapprove for it from every one including their love ones. I agree with you Professor that Ali: Fear Eats The Soul offers a lesson in how a genre can successfully mutate from one country and era to another retaining the same core characteristics and remaining relevant. It’s story revolves around a young Black Muslim and older white woman (dealing with racism and age), where as All That Heaven Allows was between an a young lower class man with a older higher class woman. It shows that the conventions of melodrama can remain to address issues that are relevant today. One of the conventions both films of different country and era shared was plots that revolve around family tensions, romantic entanglements and incredible coincidences/accidents. All That Heaven Allows, shows this by Cary’s children being strongly against her love with Ron. Eventually what brings Ron and Cary together is the accident that Ron has at the end of the movie. In Ali: Fear Eats The Soul this is also shown by Emmi and Ali’s love, and Emmi’s sons and daughter not accepting this (causing much burden to Emmi). Once Emmi and Ali had drifted apart, they dance and Ali has an ulcer, (accident), which also puts Emmi at his bedside. Again, this goes to prove that genres like the melodrama can mutate but retain the same core characteristics and be made relevant to a newer generation or era. I agree that Ali: Fear Eats the Soul offers an object lesson in how a movie genre can successfully mutate from one country and era to another. The fact that no matter where you are in the world, especially during the 20th century, there is always going to be some form of prejudistic idealism lurking in the atmosphere towards interracial, agism and classism relationship situations, giving the environment a closed minded stuck in the past mentality. In All that Heaven Allows, this is shown mainly and precisely when Cary brings Ron to a party to introduce him to her circle of peers with their reaction and attitude a bit critical of Ron. 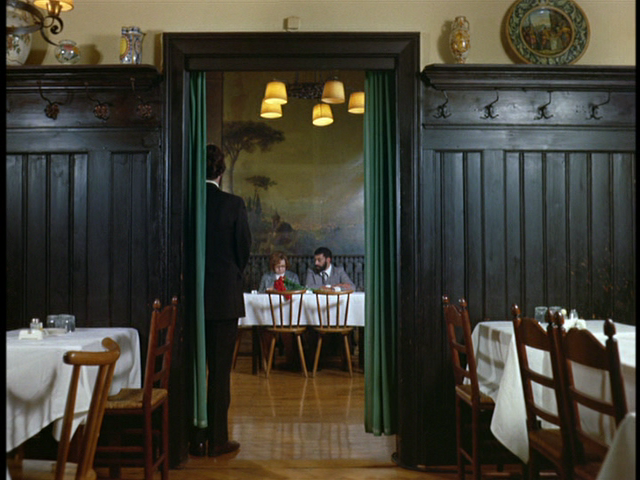 A couple of decades later, Fassbinder was able to incorporate that same reaction in his Ali: Fear Eats the Soul scene with a little bit more extremity when Emmii and Ali are sitting down talking at that one outside patio restaurant and the employees come out and stare at them with shocking and inferior reactions. The tension was so vibrant that Emmi breaks down and cries not being able to understand why her environment is so surprised. Her emotions in this scene of feeling happy and sad for the whole situation are specified with the patio’s yellow and white table and chairs which was very well captured. Fassbinders influence from Sirk in this film is definitely a good example of a successful, mutated version of the melodrama genre from country to country and era to another. I completely agree any genre can be mutated to any other language and be completely successful. Aside from the prime examples of All That Heavens Allows and Ali: Fear Eat the Soul, Shakespeare’s Romeo and Juliet can be an example of a film that has been mutated in many languages. Fassbinder’s Ali: Fear Eat the Soul, felt more intense because it portray more than just a disapproval of the romance between a white rich older woman and a younger white male who is not rich. Fassbinder tackled discrimination against foreigners, people of the same race and class, language, and in public places. Fassbinder made a film that any generation can relate too, especially if encountered the same type of discrimination. When the store clerk cared less for Emmii’s years as a loyal customer and her group of friends had isolated her during break, not until then Emmii was able to understand how cruel society can be to anything that is different. In All That Heavens Allows, not until Cary broke up with Ron and after Ron’s accident, Cary understood searching for acceptance can lead to a life of loneliness. Even Emmi preferred to accept Ali’s infidelities than stay alone. Sirk’s dark scenes and Fassbinders silence between characters made the viewer get a sense of the intensity and emotions. Fassbinder maintain Sirk’s message of pursuing happiness no matter with who it is. I agree with the assertation that Ali: Fear Eats The Soul offers an abject lesson in how a movie genre can successfully mutate from one country and era to another because this film does just that. Fassbinder’s film Ali: Fear Eats The Soul is a direct remake of Sirk’s All That Heaven Allows. Both of these films are melodramas in which the domestic sphere is the central location throughout most of the film, and also in which the plot revolves around family tensions and romantic entanglements. In both of these films, the main female character finds herself falling in love with a man whom her surrounding community does not believe is “good enough” for her. Due to this, both women are shunned by their family and friends and criticized harshly for their decisions. Both of these films are one in the same even though these two women are from two different countries, cultures, and eras, they are both experiencing the same social pressure to “live within the norm” and do what is expected of them; proving that movie genres can indeeed successfully mutate from one country and era into another while offering filmmakers from different cultural climates the same framework to create diverse social critiques while still retaining the core characteristics of a melodrama. I agree with the assertation that Ali: Fear eats The Soul offers an abject lesson in how a movie genre can successfully mutate fron one country and era to another because this is a film that exemplifies just that. 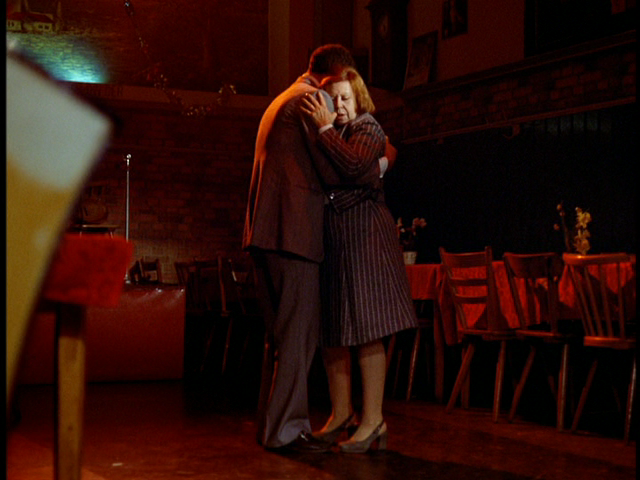 Fassbinder’s Ali: Fear Eats The Soul is a direct remake of Sirk’s All That Heaven Allows. In each of these films, the female lead character finds herself falling in love with a much younger man whom her peers in her community do not approve of for reasons of social class, race, or other meaningless aspects that society puts much importance to. Each of these women face chastisement for “living outside the norm” and doing things that are not expected of them. Even though each of these films have their differences in stylization such as lighting and moods that have been set, they are quite similar regarding the core characteristics of a melodrama genre. Each of these films are centered around the domestic sphere as many of the scenes take phace in the home. They each also have the aspect of a sudden twist of fate towards the ending of each film when the couples are finally able to overcome the obstacles that have been hurled at them and are finally able to focus on their relationship rather than the opinions of everyone around them. Also, both plots in these two films revolve around family tensions and romantic entanglements. Even though these two lead female characters come from two different countries, cultures, and eras, they are both faced with the dilema of social peer pressure of living within the means of what is socially acceptable from their friends as well as their loved ones; prooving that a movie genre can indeed successfully mutate from one country and era to another while providing filmmakers from different cultural climates the same framework to create diverse social critiques and also still retain the core characteristics of a melodrama film. I would have to say after reading the essay posted that I would agree with the assertion that a comparison between Sirk’s original film and Fassbinder’s similar-yet-different remake offers an object lesson in how a genre can successfully mutate from one country and era to another, offering filmmakers living in different cultural climates the same framework in which to create diverse social critiques, while still retaining the same core characteristics. The way I see the lessons learned in the both films is that they both share a universal message that can be understood by any culture regardless of era or country. As you live life no matter where you may live you begin to understand the problems or dilemmas of an individual person and begin to understand how life works for that matter. It’s not just scenarios made up its real life issues people face every day, and filmmakers use these real life issues in their films to not only connect to a certain audience but to leave a life message or lesson to their specific audience. Now if the filmmakers are from different countries or eras then of course the story will be tampered with or different but there is no original culture or language the story or plot comes from; it’s universal. For example, in sirk’s film he introduces a couple that is not socially normal and in Fassbinder’s film he does the same thing with minor age, and era adjustments. So I would have to agree with your assertion Mr. Smith because there is universal connections that you saw and I understood; the comparison and how closely related the films are unfolds the truth of the universal connection doubt the country or era differences. After reading your essay, I do agree that Ali: Fear eats the soul offers an object lesson in how a movie genre can successfully mutate from one country to another while still retaining the same core characteristics that qualifies that film as that certain genre. Fassbinder’s remake of Sirk’s All that Heaven Allows is a perfect example. Both Sirk’s film and Fassbinder’s film, Ali: Fear Eats the Soul show similar and specific characteristics of the melodrama movie genre. This genre consists of characteristics such as the domestic sphere being the central location of the film, plots that revolve around family tensions and romantic entanglements, and plot points that involve accidents, last minute rescues, and reversals of fortunes. In both films Emmi’s apartment and Cary’s house are the central locations where the family tensions and romantic entanglements also arise. Not too long after the start of the film, Ali spends the night at Emmi’s apartment where varioius scenes of the two are shot. Emmi has her adult children over announce the news. They all share similar looks of disapproval and one of her sons even reacts angrily as he kicks her television set. In All that Heaven Allows, Cary first holds a conversation with Ron after she invites him to sit with her for lunch and has an immediate admiration for him. Various scenes at her house include conversations between Cary, her friend Sarah, Ron, and her children. There Cary reveals her plans of marrying Ron and not too far afterwards, after she has returned home from a party with Ron, her son Ned, voices his disgust and disapproval. Both films also showcase scenes in which both males partners are injured (accident). Upon seeing Cary, Ron rushes to get to her as he calls out her name and falls and injures himself. Upon hearing of it Cary rushes to his side and decides to not only stay to help him recover but to also resume their relationship, permanently. In Fassbinder’s film, Ali suffers from an ulcer and Emmi also decides to take care of him in hopes that she can prevent him from experiencing another. Both film directors show society how they act toward one another for both relationships were frowned upon, even by loved ones. However, they are still two different films that offer more than the same message. Fassbinder goes on to shows the hypocrite and hidden prejudice in his characters as the very same people that ignored Emmi before the trip with Ali, treated her with kindness afterwards. Even Emmi was a hypocrite when she, with her coworkers, shunned the new employee because she was on a different pay scale, just as they had previously shunned her for her relationship with Ali. 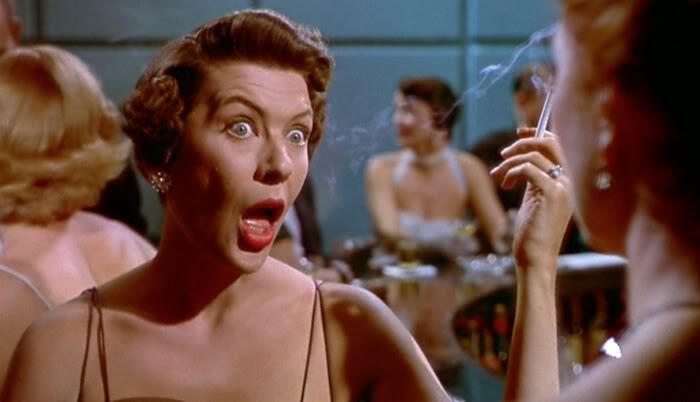 In Sirk’s film, the accusations and concerns of her children were proved superficial as both Kay and Ned proceeded to move on with their lives as usual upon hearing that Cary broke up with Ron. Both directors send the same message to their viewers, however they both go a step further into showing society how they really are. I agree that “Ali: Fear Eats Soul” offers an object lesson in how a movie genre can successfully mutate from one country and era to another. I agree because it’s been done so many times. There’s so many movies that resemble each other (Mission To Mars & Red Planet). Or to be more specific (Rec. & Quarantine) Rec., is a movie from Spain and it was a damn good movie and then it got remade in the U.S, and I would say it was a good remake. To get into the movie Ali: Fear Eats Soul and All That Heaven Allows are completely similar. One of the few differences is the main characters from both movies. Ali is a black Muslim, while Emmy is a much, much older German woman. And in All that heaven allows Ron is younger than Cary and that’s about it. But to go with some similarities. In both movies, both of Emmy’s and Cary’s family and friends disagree with there relationships and by the end of the movie they end up coming back asking for favors and that’s why they agree to there relationship, maybe. Another similarity is how there was almost a tragic ending in both movies. In All That Heaven Allows, Ron fell from cliff and that’s when Cary went to his side and decided to stay with him and get back together. In Ali: Fear Eats Soul, Emmy and Ali had gotten into a fight and they ended up dancing to there song and Ali told Emmy he had cheated on him but Emmy said she didn’t care. And then Ali told her “I don’t want any other woman, just you” and he collapsed and it ended with Emmy in the hospital right by Ali’s side, So both movies had the similar endings, plots. Ali: Fear Eats the Soul is an excellent remake of All that Heaven Allows. Fassbinder does a great job of translating All that Heaven Allows to Germany, as well as changing the reason behind their social incompatibility to match the time and place, and the resolution of the story as well. Whereas a widow marrying a younger man is not looked down upon nearly as much now, marrying someone of a different race, specifically one stereotypically known as dirty, cheating or otherwise “inferior”, is still a thing of note. The change in the relative wealth and social status of the lovers makes the story more believable, as well as changing the social setting and problems encountered to one more appropriate for the time it is set in and the age difference between the two. All in all, Ali: Fear Eats the Soul does a magnificent job of translating the genre from the 50’s, in the United States, to the 70’s, in Germany. I agree that a movie genre can successfully mutate from one country and era to another. The difference in time and cultural environment allow the film to break away from the norm while still keeping the intended original characteristics.Fassbinder did an incredible job in remaking Sirk’s “All that heaven allows.”The reason for this is because not only did he maintain the theme and melodrama style, he did this while still being able to create a name for his film. It wasn’t just a remake,it was a new film with a different love struggle. Fassbinnder and Sirk had a similar filming technique. they both places emphasis on the “frame within a frame” style. 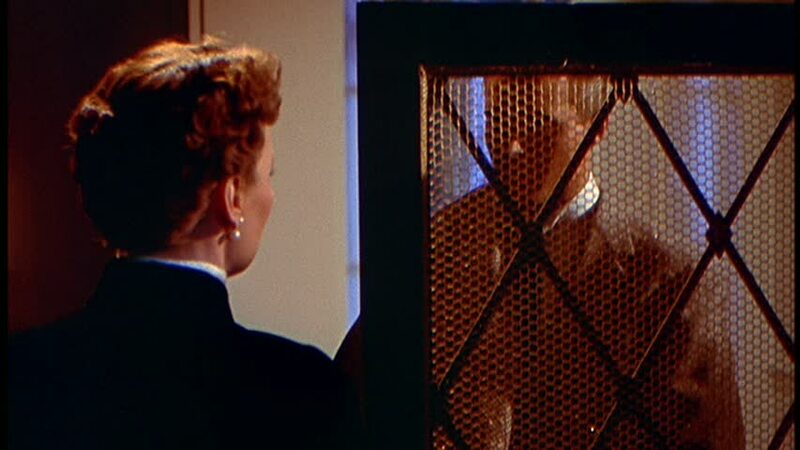 Sirk used this technique to show how characters in the film where trapped within their boundaries while Fassbinnder created more of a “outside looking in”shot. Fassbinnder showed how Emmie and Ali were seen by others and how they were trapped within societies expectations and boundaries. The film also successfully mutated how there will always be criticism no matter what social class,race,ethnicity,or gender you are. Another characteristic that was successfully displayed in both films was the color schemes used. Color plays a big role in the melodrama genre. In “All that heaven allows”, the colors ranged between cool and hot to reflect upon the personality and mood being set. In Ali fear eats the soul this too was used but in a different way. Shadows and light played the role of color. Although “Ali:fear eats the soul” was remade almost two decades after “All that heaven allows”,it successfully displayed the same love struggle within a different cultural environment and social boundaries. I completely agree with the assertion that Ali: Fear Eats the Soul offers an object lesson in how a movie genre can successfully mutate from one country and an era to another. There are no barriers such as cultural, social and language when it comes to films and music. Films and music always express universal messages to its audience. The entire world can understand what a filmmaker or musician is trying to express regardless of cultural and language differences. You can offer filmmakers living in the different cultural climates the same framework in which to create diverse social critiques, while still retaining the same core characteristic. In both films, the main plot is that two people fall in love with each other but there are differences among each other. In All That Heaven Allows, Cary and Ron fall in love with each other, Cary belonging to the high class while Ron belonging to the lower class. In this film, Sirk shows the prejudices we have among each other but not only that also the hypocrisy that w, humans, have among each other. Sirk shows us this when Cary’s so called “friends” talk bad about her and her relationship with Ron. Many people would assume that Ron would only want Cary for her economic status because Ron is of the lower class and because he is also a lot younger than Cary. But then again, when Cary takes Ron to her club some acquaintances there are complimenting how good looking and big muscles Ron has. On the other hand, in Ali: Fear Eats the Soul, Fassbinder shows us the same plot of Ali and Emmi falling in love with each other but having big differences among them. Emmi is German and white while Ali is black and Muslim. There is still an age difference among them but in this film, I think that is the least problem. During that time, Germany was going through difficult and major changes. They were trying to develop as one democratic country. They were trying to surpass the difficult times Hitler’s consequences had on the country during his dictatorship, there was a lot of racism going on. That is what Fassbinder portrays very well with Emmi being white and Ali being black. No one liked Ali just because he was black and a foreigner. Fassbinder shows this when Emmi’s family strongly disapproved of Ali, also her neighbors. He emphasized when Ali when to the supermarket to buy some groceries and the owner refused to sell to him because Ali did not speak “proper” German. Unfortunately, music and films portray problems that are going around the world now. It is sad that we live in such a cruel society. The worst part is that we have created this. Many people aren’t themselves because they take such an importance to what other people have to say about them. They prevent themselves from being themselves and most important from being happy. Both this films show us this when Cary breaks her relationship with Ron because of her children and when Ali goes back to his old ways because he had enough with everyone treating him worse than an animal including Emmi’s children. I total agree with your assertion, movies can successfully mutate from one country era to another. Both Fassbinder and Sirk’s movies have shown that to be true. Even though Ali: Fear Eats the Soul and All That Heaven Allows is different in characters physical attributes. Fear Eats The Soul shows a more racial view point. Ali is an immigrant and everyone looks at him as dirty and doesn’t want him around until they need him. While Ron in All That Heaven Allows shows more on the standards of age and class differences. Ron’s a gardener and Carrie’s an upperclassman that has a lot of money. Both films have a lot of things in common though. Both directors use great stylization. They even use some of the same camera focuses, as you stated they both use frames within frames to create the distant between the two characters within a shot. Another thing is the lighting used in the film to show the high tension created between characters. My opinion on these two movies shows not only was it like this in the old days, but also coming from the new millennium I can relate to the racial and class problem involved. We as American’s are still sometimes judge based on our religion, skin tone, classman ship and even the decision we make in this world. I agree that a movie genre can mutate from one country and era to another, offering filmmakers living in different cultural climates the same framework in which to create diverse social critiques, while still retaining the same core characteristics. This is extremely apparent with All that Heaven Allows being the framework and morphing through an era and directors’ style to create Ali: Fear Eats the Soul. All that Heaven Allows is the ideal image of what is a melodrama, including aspects such as the stylization of mise-en-scene, plots revolving around romantic entanglements, and (but not limited to) plot points involving incredible coincidences. Fassbinder was able to look at the All that Heaven Allows and see the aspects that make it the classic melodrama. Fassbinder was then able to use it to his advantage in making his film Ali: Fear eats the Soul. 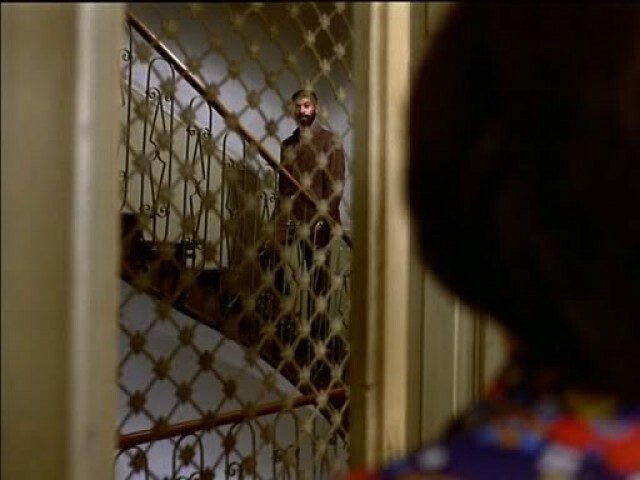 One of the most obvious scenes in the movie where Fassbinder uses Sirk’s melodrama aspect of mise-en-scene while adding his own message is when Ali walks up the stairs after Elli, while another woman living in the apartment complex stares at Ali through a frame. With this scene we can almost predict that her face is filled with disgust for being not only a Moroccan and, but also for having a relationship with an Elli, a much older woman than him. Fassbinder also displays the plots revolving around romantic entanglements well. The main romantic entanglement being between Ali, a young Moroccan, and Elli, a much older German. Fassbinder displays the prejudices well according to the era in which he made the movie. What Fassbinder does better, however, in Ali is the plot having incredible coincidences. The most obvious one being when Ali and Elli come back from their vacation and everyone is acceptant of the relationship they have. All in all, both movies displayed the melodrama well and easily showed how the aspects of Sirk’s melodrama can mutate into another movie from a different era. I do agree that that Ali: Fear eats the Soul offers a lesson in how movie genres can successfully mutate from one country and era to another. I must say, however, that the “core characteristics” that come with each individual movie genre (particularly dramas and romances) unfortunately have not been the same since the conclusion of the melodrama era itself. Additionally, the two movies All That Heaven Allows and Ali: Fear eats the Soul may be closely related in genre and considering Sirk’s influence on Fassbinger, but they are two completely different movies. Yes, both are melodramas set on the view of two lovers who’s love was not accepted, however, what Sirk offered in his movie was intensely emotional lighting effects and angles. Fassbinder’s filming technique was similarly based on the same idea, but his movie was more mentally explicit and focused more on the psychological side. Sirk stated that you can only make a movie with things appose to making a movie about something. That is a good look on the concept of film, but I have to disagree with that statement. Sure people and objects make up a movie, but if you don’t make the movie about something then where’s the plot? I believe Sirk was so busy with the actual filming of his movie that he never realized the actual purpose of his movie; which is why we as the audience are left with so many questions as to the symbolism within the entire film. Indeed, the movie “Ali: Fear Eats The Soul”, by Fassbinder, is a movie that can be asserted as one that offers an object lesson in how a genre can successfully mutate from one country and era to another where the comparison with Sirk’s original film “All That Heaven Allows” is concerned. This is because, both movies which are of the same genre, clearly have cultural differences between them which did not take away from the plot. The German language spoken in Fassbinder’s version as well as the european architecture within the settings of the movie are some cultural aspects that give the movie a foreign perspective. On the other hand, the spoken language, English in Sirk’s version, as well as the town setting give more of a 50s American feel. In support of your analysis of differences in era, the example that stood out to me was that Carrie was unemployed, which is synonymous with women in the 50’s, whereas Emmi was a working class woman much like women in the 70’s. Both stories portrayed the characteristic of the melodrama genre; family tensions and romantic entanglements showing that these elements traverse time and space showing that these elements traverse time and space. I also agree with your point with regards to your assertion that Fassbinder’s movie offers an object lesson in how a genre can also offer filmmakers living in different cultural climates the same framework in which to create diverse social critiques, while still retaining the same core characteristics. Since in All That Heaven Allows we see a young gardener; Ron whereas in Ali: Fear Eats the Soul, we see a young Moroccan immigrant worker who happens to also be a Muslim (Ali). Thus in this case one can see how Fassbinder adds the aspect of race as well as religion alongside the original aspects of age and class difference (diverse social critiques) while still maintaining the same central features of the original movie as Emmi falls in love with Ali just like Carrie does with Ron. I agree that Ali: fear eats the soul offers an object lesson in how a movie genre can successfully mutate from one country and are to another, offering filmmakers living in different cultural climates the same framework in which to create diverse social critiques, while still retaining the same core characteristics. Ali: fear eats the soul is in 1974 in Germany, while All that Heaven Allows happens in 1956 in the United States. The two movies happen in different time and country. However, both movies are great melodrama talking about a woman fall in love with a younger man who is in a lower class. In the beginning of both movies, Kary falls in love with Ran, who is her gardener and much younger. Emmi falls in love with Ali, who is about 20 years younger and a foreigner. Then, in general, the friends, family members, and people in that circle are against their marriage. However, there is some small difference. In All that Heaven Allows, Sara and the doctor support Kary. In Ali: fear eats soul, none of Emmi’s friends, families, of neighbors support her. Then, they all have a very similar ending, which is that an accident brings them together. I also agree that, in both movies, Sirk and Fassbinder make women think a lot. It is so impressive that even you and someone else are in different culture and time; you are all going through the same story. I think that tells us that movies have no nationality. Even though there are some small things different, they all go through the same big story. It is true that both movies portray the same type of love story, but each one has different seeds planted in them. That is to say, in All That Heaven Allows the biggest opposition by those around Carrie (Jane Wyman) is the sexual threat that Ron (Rock Hudson) represented, especially for her son Ned (Williams Reynold.) The seed presented in the film was, as stated by Michael Smith, is the hypocrite side of America that would rather look down on the love between a widowed woman and a man of lesser class, than the attempts of cheating by Howard who so happens to have a wife. The same theme can be found in Ali: Fear eats the soul. However, this movie plays with racism to show that people hate on Ali and his kind because he is a “foreigner.” There is a sense of German pride among those around him that oppose him, and even Emmi (Brigitte Mira) goes as far to say that she was once “one of Hitler’s kids” meaning that at a young age she participated in Nazi activities. But while the same concept can be found present in the films, there is a different type of love story found in them. That is to say, it can be argued that both set of couples had different types of “love.” For example, Ali bluntly states “good. Marriage is good” when Emmi tells him that, in order for him to be able to stay in her apartment, she told the landlord’s son that they will be getting married. Could it be that all she really wanted is someone to talk to after being alone so much time with her kids gone from the house, in contrast to Carrie who’s children would visit now and then. Could that be why Ali sleeps with Barbara (Barbara Valentin), the bartender? Emmi recognizes that this happened, and even tells Ali that “its ok. I know my body is old” meaning she is too old to sexually please him. Such line one would not except from Carrie to Ron in All That Heaven Allows. Yes, I do believe that a movie genre can change depending on the country, but also that, when done so, each director puts a different twist, or plants different seeds, to the film so that it won’t be the same dry thing over and over. Fassbiner’s Ali:Fear Eats the Soul provides an excellent example as to how conventions from a genre can mutate from one country or era to another. It should be no secret that Fassbinder closely studied Douglas Sirk’s style of filmmaking, with Ali: Fear Eats the Soul being almost a mirror of Sirk’s All That Heaven Allows. All that Heaven Allows basically tells the story of a well to do widow who begins a relationship with a man who is much younger than she and is also of a lower social class. The heart of the film stems from the adversity of their relationship, with one part stemming from the fact that Ron Kirby was not the rich and powerful type and the other part being that he is significantly younger than Cary. Initially when I watched this movie, I didn’t even catch the conflict of age between the two. I thought the film was a critique on class alone. However, the one scene in the movie that brought to light the age difference between the two is when Cary’s son Ned confronts her after she shows Ron off at the country club. In the scene Ned tells his mother that “all [she] see[s] is a good looking set of muscles!’, implying that Cary is seeing Ron for purely superficial reasons. Like his master’s work, Fassbinder’s Ali: Fear Eats the Soul tackles an unconventional relationship from a two part perspective. While the issue of the age difference is present in this film as well, Fassbinder’s piece tackles the relationship between main characters Emmi and Ali from a racial perspective. Though they are happy with each other from the start, none of their peers, whether it be Emmi’s children, her working colleagues, or Ali’s bartender lady friend, approve of their relationship. It seems as if the characters that occupy Emmi’s life were more concerned with the fact that Ali was Moroccan while Ali’s friend was more concerned about how old Emmi was, along with the fact that while in the bar she always looked as if she didn’t belong. In short, the conventions of the melodrama are universal. Both Sirk’s and Fassbinder’s films have heightened emotions of the characters, extreme stylization of mise-en-scene as well as dialogue and acting (a personal favorite of this is Fassbinder’s method of shooting some of his scenes using long shots, as a way to create an uneasy beat or pause between the characters, symbolizing their differences and eventual distance) and plot points involving incredible coincidence. I mean, part of the reason that Emmi and Ali got married in the first place was so that she could save face in fron of the landlord. I definitely agree with your assertion that Ali: Fear Eats The Soul offers an object lesson in how a movie genre can successfully mutate from one country and era to another, offering filmmakers living in different cultural climates the same framework in which to create diverse social critiques while still maintaining the same core characteristic. Ali: Fear Eats The Soul (Fassbinder) and All That Heaven Allows (Sirk) both offer very similar social critiques, the first taking place in urban Munich, Germany, and the second taking place in a small New England town. In Ali: Fear Eats The Soul, Emmi faces extreme social persecution for the age difference between she and her husband and her husband’s race. In All That Heaven Allows, Cary, a woman of upper-class stature, is socially persecuted because she starts dating her gardener whom is much younger than her. Both husbands face much prejudice from their wives’ primary social groups because they are viewed as complete and total outsiders and people are completely unwilling to accept them. Both films would clearly be categorized as a melodrama given their mis-en-scene, dialogue and acting. The dramatic colors, borderline campy acting and picturesque locations are very dreamy and can almost always tug at your heart strings. Regardless of the many differences between the films (location, time period particularly), they still have a very similar way of presenting themselves as master critiques of society. Reading this essay only re-enforced the assertion that Ali: Fear eats the Soul (Fassbinder, 1973) and: All that Heaven Allows (Sirk, 1955) offer and object lesson in how a movie genre can successfully mutate from one country and era to another. I feel that set of incidents occurring in: All that Heaven Allows, are more realistically plausible than those in: Ali: Fear eats the Soul; I sense this to be so because the thought of an elderly woman taking a young immigrant stranger she met at an unknown bar into her home for coffee let alone sounds dubious enough without the inclusion of the fact that she let him spend the night, and also eventually married him. Where as in the plot of: All that Heaven Allows, of a gardener uninterested in money, and a somewhat financially stable widow falling in love is something that appears to be a more reasonable and common occurrence on a day to day basis. Aside from the credibility of the plots and character destiny involved, the emotions and prejudice surrounding both movies are very realistic, and can be related to from people of any nationality, generation, and or ethnicity. The prejudice that fills both movies ranges from: social and financial standing to age and racial prejudices; they are expressed from the middle class people as well as the upper class. Examples of this prejudice in: All that Heaven Allows, is seen from the individuals of the “Members Only” Country Club, to that of Mrs. Scott’s Children Ned and Kay. This is seen in: Ali: Fear eats the Soul, from the inhabitants from Emmi’s apartment, and ranging from the grocery store owner to her own children as well. Hypocrisy as well as prejudices are expressed and seen in both films. Hypocritical moments like those of Ned and Kay from: All that Heaven Allows, getting married and wanting to sell the house after claiming to keeping it in the family to preserve its historical significance to that of the inhabitants asking Emmi from: Ali: Fear eats the Soul, for help after initially criticizing her husband, Ali, are all over the latter of both films. I believe prejudice and hypocrisy to be the main connecting key points of both movies because; these are the characteristics that a film capable of creating similar social critiques while separated by differentiating social climates. Due to the fact that humans aren’t perfect, nor free from sin, it is normal to be able to relate to being prejudice and/or hypocritical in the slightest way because imperfection makes us human and similar to one another. – narratives involving incredible coincidences, accidents, last minute rescues and reversals of fortune”. It is clear that Fassbinder was heavily influenced by Sirk and this admiration is clear in the form of an homage that is the film Ali: Fear Eats the Soul. The film offers mimicry of Sirk’s filming style that include frames within frames but with a Fassbinder twist, that goes on to provide long pauses and distant shots. At its core, each film deals with the dilemma of social stigmas imposed by the mass majority of civilians in a community and the effect it has on those it alienates. In All That Heaven Allows, the film deals with ageism and classicism while Ali: Fear Eats the Soul includes the same dilemmas with xenophobia added to the mix. There are several disparities between the films, in particular All That Heaven Allows is far more polished and the issue of ageism is not felt so strongly because physically the characters ages do not look so distant from one another. Whereas, Ali:Fear Eats the Soul portrays a relationship between two central characters whose ages vary greatly, along with more raw emotion and exploding ulcer. In finality, it is not how similar the plot is but rather how this transition of genre manages to occur. Ali: Fears Eats the Soul is an object lesson in how a movie genre can successfully mutate from one country and era to another because it is melodrama that situated itself in issues relevant to its country and time. From what I was reading All that heaven allows talks about how she shouldn’t be dating this gardener and how she is a widow and she shouldn’t be dating this man. Back then was a little different than what the movie Ail’s fear eat the soul now this movie which I never seen talks about racism and how she shouldn’t be dating a immigrant which I don’t see anything wrong with it but you have to think that it was set back in 1940’s and 1950’s so everything was a little different and difficult to handle with dating and falling in love. You have to think black and white people are all the same we do almost the same thing I just don’t see why not date a white or black person. After watching all that heaven allow it shows a true meaning of love and how it affected her and her kids.From what I was reading Ail’s fear eat the soul is a updated film based on All that heaven allows in both movies they have the same plot line and the same meaning, but the only difference is that Ali fear eat the soul involves in racism. Back then they didn’t want white people and black to get along or to date but clearly they both were in love. so most likely there’s going to be gossip. There is a lot of similarities and differences between both movies they are both widow who wants to fall in love but don’t know how to express their feelings to everyone because people back then didn’t know how to keep their mouths shut and in the movie Ali fear eat the soul her son kicked the t.v. “For what reason”.. Because he was mad because she was dating a immigrant again which I don’t see the problem. If I was her I wouldn’t of said you are buying me a new t.v. Overall watching All that heaven allows and reading Ali fear eat the soul they both great movies and they portrait almost the same detail and information about dating, race, family, love, wealth, etc. They told a lot of feelings and deep conditions that we hardly use now in our century also they were more passionate about it then we our today. What is up with all of the comments from October, 2013 that begin with the nearly identical sentence? Is someone using a bot to rehash and regurgitate the same point? Otherwise, this is a very good article. After reading this article, I change my thought on watching movie. At past I determine a movie is good or not by the plot and the actor. Therefore the movie post or the cover is most important thing to make me interest. It must can catch my eyeball, then I would watch it. To be honest, I am not really like the movie show in the class. Against movie to me, it just the life of villain. I don’t think I would watch it or enjoy it if it is not show in class. Now, I have to understand those movies again. This article makes me understand the real thing I watch is under and hide in the movie. As the article mention, the real thing in All That Haven Allows was the thought to different class in society. The latent rule is the people in upper-class should not be with the people in low-class. The upper-class people must stay in the best. The upper-class should keep away from the low-class. The upper-class should not talk to the low-class. The upper-class should not even look at the low-class. Those were the true things in the real society. The director catches the point that the audiences would like to see the protagonist get together, so the director can put the real intention under the plot. Then, the audience would like the movie and stand by the director. Also, in the movie Ali: Fear eats Soul, the director tried to tell the audience that the racial discrimination under the plot. The similar setting, old woman and young man, but change the upper and low class to the Germany and Moroccan. In this movie, it talked about others’ thought more than the protagonists’. It told mostly what the protagonists’ behavior and others’ feeling on the protagonists’ behavior. It was more directly reflect the effect on the racial discrimination to people. It chooses this plot can make the people understand how the feelings of discrimination were — everything is wrong. I love the articles and the movie melodrama is a lot like a love story true love story I enjoy the film it really express and showed was love was all about in the 50,s u don’t see that in this time no more . Honestly, when the time I watched both movies, I just felt so unrealistic. I couldn’t imagine what kind of person is brave enough to have such a special relationship. Wouldn’t their care about others’ opinion. However, I changed my mind after finishing this article. Besides, I need to admit that I am too old-fashion because characters are a way for directors to express feeling and thoughts as well. 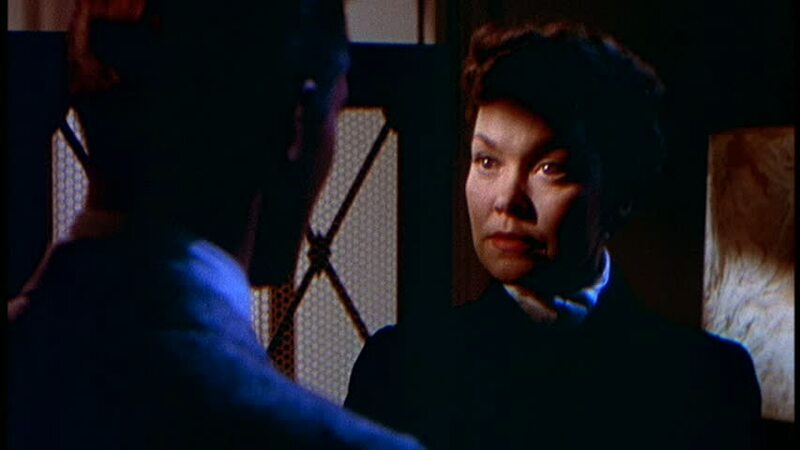 In All that heaven allows, Douglas Sirk through the use of light and shadow, the widow of the vagaries of mind, emotional ups and downs unfolding in the fluorescent screen. The whole story briefly can be regarded as a simple love story between a man and women. Did any of them make mistakes? Why everyone includes me blame him or her. Since when, loving someone has become a terrible thing. Due to social identity, status, age, traditional moral constraints, everything just becomes uncertain. Wealthy widow in love with a young gardener, no matter half a century ago in the United States conservative small town, or materialistic, modern society, will set off an uproar. The concept of era changes, but in fact affect the heart and the parties blow it lasts forever. Douglas Sirk with strong colors and chapter-style narrative technique, the traditional and conservative small town, but full of hypocrisy vulgar middle-class circles criticize severely, in television, Internet era has not yet arrived, large and small party almost become the best entertainment, but also to gossip they are more lethal than any other’s. I agree with many of the posts, I must say before this class I just watched movies, today I am looking for frames within a frame, colors, movements of the camera, how culture shapes characters. I knowingly am learning to appreciate film. Fassbinder does borrow from this masterpiece in a notably appreciative way. Although both movies are set in different eras and different cultures, they both share the same motive- love, hypocrisy, prejudice, family tension and socioeconomic status. It seems impossible anyone could remake Sirk’s All That Heaven Allows, Fassbinder does capture the prejudice of Emmi’s Society in Ali: Fear Eats the Soul, but not the dramatization of emotion through music, scenes and color, as Sirk does. For example, In All that Heaven Allows; Carrie’s son Ned is upset of his mother choices, he comments “I think all you see is a set of good looking muscles”. Fassbinder adapts this scene, by Emmi having Ali sculpt his muscles in front of her friends. Both female characters are pained for love and a sense of security but are shunned by family and friends. Another adaptation is the use of the television set and family tension. Fassbinder has Emmi’s son bash in her television set and how Carrie gets a brand new television set on Christmas, as to say women of that age should be watching television programs and not looking for a new lease on life. 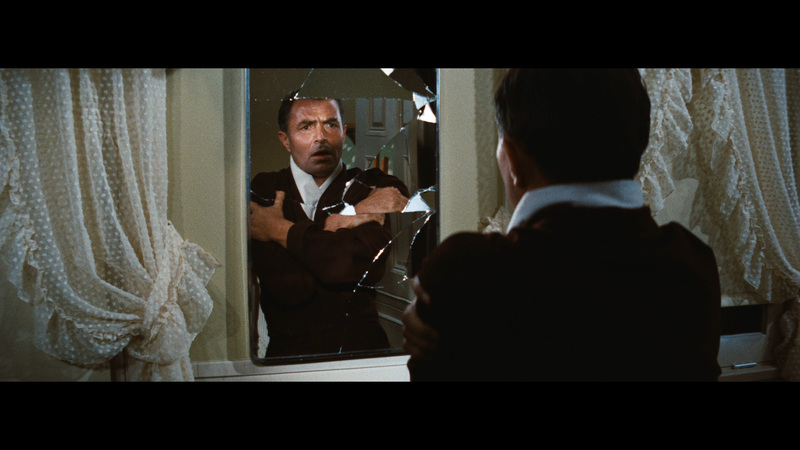 Sirk does use reflection to create scenes within a scene. The female characters are slightly different, as Carrie is much more attractive than Emmi and Ali is black. Both films show the pain of women stepping out of their “norms”. Although Sirk makes magic with his lightening and darkening of scenes. His use of color and wide screen makes this emotionally captivating. Unlike Fassbinder, who does share some characteristics of frames within a scene -(Ali in the stairwell and the gate capturing his face) All that heaven Allows is the template for melodrama genre. When I found out that we were going to watch melodrama movies, I was upset. The reason I was upset it’s because I’ve never liked them, and they seem unrealistic. Once You’ve explain the whole purpose of the genre, and once we watched All that Heaven Allows, and Ali: Fear Eats the Soul, I changed mind. Especially how both of the movies were created for the viewers. In the movie All that Heaven Allows I’ve never imagined seeing a movie with an interesting storyline. I would only imagine seeing this kind of storyline in soap opera’s. In fact I have seen a soap opera with the same storyline. After finishing seeing the movie, I had a question. When Carrie was having an argument with Ned, why was there a divider between. Once I read your article Sirk did that on purpose, and to show how far apart they are as a family. In the movie “Ali: Fear Eats the Soul” it hit me , and what I mean by that is that I felt lots of emotions with this movie. Oh my lord, this happens really rare and it only happens when I haven’t seen a movie like this, and when I enjoy it. I would had never imagine this movie to be so real for it’s own time. The way that Emmi had to deal with everyone’s hate, because she was married to a younger, and from Morocco. The way that Ali betrayed her, and she still wanted him back. Each movie showed how judgemental, hateful, and cruel people can be. Especially when someone encounters something, strange and unexpected. Also how each character reacted to the situation, and some of the actions they took they ended up regretting them. Both movies are splendid, and it was something new that I learned from watching. By the way awesome article, and it helped me reevaluate my thoughts on melodrama movies. I really enjoyed this article and felt that it’s given me a broader understanding of these two films. All That Heaven Allows and Ali: Fear Eats the Soul really challenges the social norm as well as bringing it to light regardless of its film location. In All That Heaven Allows, Carries deals with the social prejudice of dating/marrying Ron and expectations while Ali: Fear Eats the Soul, Emmi deals with the same concept but on a slightly heavier level. With Emmi, there was a variety of issues at hand like her constant noisy neighbors (who doesn’t like Ali at all), her very opinionated children, the fact that Ali is foreign/younger and the social pressure on her to be more German which she forced onto Ali. These two characters would ultimately learn to make their own decision regardless of what other thought, which would eventually free them of social their obligations. As for the directors of these two films, I didn’t realize that there was so much details that went into making these two film. With Sirk, I thought that he was brilliant with his coloring in film. Its details like these that makes it easier for the audience to interpret the characters emotions without really noticing what Sirk was doing. Such as dark/blue tone which showed uncertainty or lack of understanding or warm colors that was used to show understanding and affection. For, Fassbinder, I didn’t notice/understand his style until reading this article. 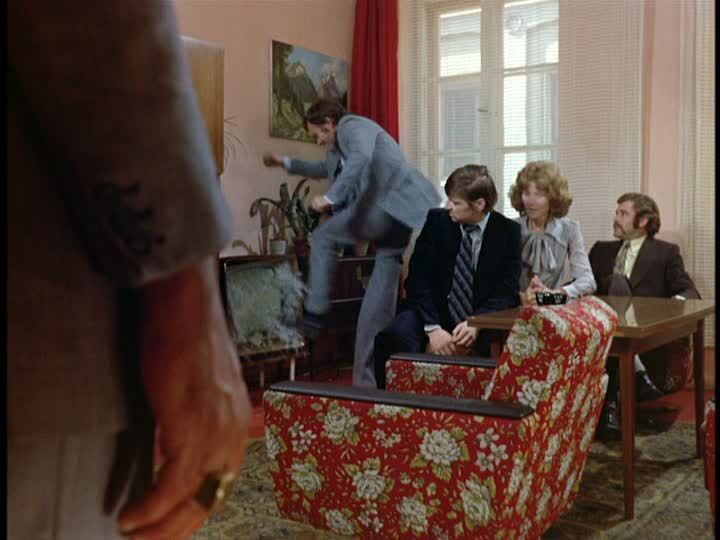 I find it interesting in how he uses frames within frames to show to show how these two feel trapped or how Fassbinder shoot the character from a distance instead of close-ups. For me, I still find his style of directing unusual. It didn’t help that there was hardly and background music to this film too. So you would get a still shot with no music and that for me made it hard to really get into the movie and made the scene feel awkward. In all honesty I was having trouble understanding the overall message that Fassbinder was trying to imply with his film. I could see the obvious way he used the same techniques as Sirk in the film to give an obvious message but I still couldn’t fully understand. My guess was that it was mainly due to the language and cultural differences. After reading this article I was better able to understand Fassbinder’s use of camera vans and use of award silence in the film to give to life without giving much at all. I believe the reason why Fassbinder’s use of Sirk’s techniques worked so well was because we addressed a similar issue that was relevant to the time. The same plot just with added issues. All that heaven allows we see the obvious class and age difference but in Ali Fear Eats the Soul we get class, age and racism. I enjoyed Sirks use of color in different shots and the way it is used to add emotion between the characters and show tension and conflict like that famous door screen scene along with coincidences or outside forces driving them together. I gives the film an almost dream like quality. While Fassbinder relies more on the mise en scene in the film to manipulate the audiences emotion. Showing the characters through open doorways and close environment to everyone in their building. Very different from Sirk’s distant outdoor environment. Other than that both films use a similar techniques of emphatic music cues, romantic entanglement and family conflict to deliver their story. Making Sirk and Fassbinder both similar and unique from dreamlike to realistic and gritty. After reading your post, it’s clear that these two films are an excellent lesson on how a genre can change a bit between cultures and eras and still remain ultimately the same genre. The two films are very similar in plot, and most of the changes occur in the world around the characters. All that Heaven Allows highlights classism, sexism, and materialism, while Ali: Fear Eats the Soul displays blatant racism instead, showing the shift in humanity’s attention. Also, All that Heaven Allows is considerably more expressive than Ali: Fear Eats the Soul, which I believe demonstrates how these two generations and cultures express themselves very differently from each other. Fascinating read, and while I did notice some of the stuff you pointed out; I feel like some of it flew over my head (like the idea of TV being inferior to cinema). I did like how in Ali: Fear Eats the Soul, everything was brought down a notch; the central heroine was poorer and low class, for example, and her lover more so, which added a ‘real’ feel to it, which was helped out by the sometimes blunt color palette. But to get back on track, these two films makes me curious as to how these problems would be presented in a modern ‘rendition’ of the film, and not necessarily a film that takes places in the United States, but maybe a place like Japan, or France. I think the very notion that these films can be translated so well from one culture to another goes to show that the problems presented are timeless and universal. There will always be ageism, sexism, and racism. People will always go out of their way to reject things that make them uncomfortable, things that don’t align with the way they think society should work. I also think it’s interesting that you mention the voyeuristic shots in Ali: Fear Eats the Soul, since I think they look really great in the film and go well with the film’s general style. It adds to the realism; it’s a bit like catching glimpses of someone’s life when you shouldn’t really be there. One such scene that stuck out to me was when Emmi and Ali were having breakfast, and we see their interactions through a doorway, instead of actually being in the room with them. I skimmed some of the comments here before reading, and I also feel like reiterating that I thought melodramas wouldn’t be too appealing, but I was wrong. All That Heaven Allows was great, and a lot of fun to look at. The constant oranges and blues were a fantastic way to show the divide between, not only characters, Cary and the rest of society. I saw the cold blue as society’s oppressive stare. It was ever-present, and always bearing down on Cary. I really liked your post. It got me thinking about the two movies! I really enjoyed to read this article and I totally agree with the article’s saying. “All that Heavens Allows” has a great contrast of warm and cold color. In my opinion, Ron’s new house is example of contrasting color. Inside of Ron’s house seems very warm but outside is always looks cold and snowy. Cary and Ron together in the room looks so comfortable and full of happiness. However, when they go out somewhere such as party or grocery shopping, high class community member always bother them. It represented contrast between inside of human’s true mind and outside of too much care about other people’s view. “Ali: Fear Eats Soul” and “All that Heavens Allows” have many stylized mise-en-scene. In “All that Heavens Allows”, the director put many symbolic prop such as big window, animals, and broken cup. In “Ali: Fear Eats Soul”, there are many frame inside frame scenes. This mise-en-scene makes the audience feel that they are the observer like common person surrounding Ali and Emmi. I felt like I am in the movie and I am the one of the person who belongs to Ali and Emmi’s neighbor. In the movie, camera tend to place on backside little distant to actors. It makes me felt that I secretly glimpses Ali and Emmi’s marriage life. It was new experience to feel that kind of emotion. Also, television in both film is significant role in two movies. . 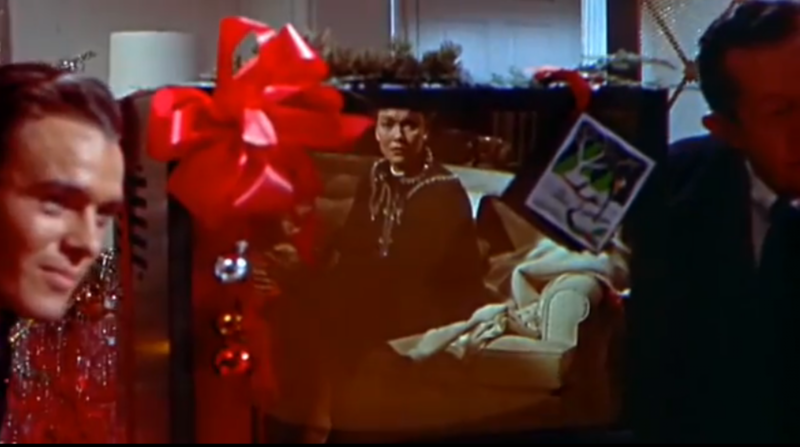 In the movie, Cary’s son gifted her television for Christmas present. It shows television was plebeianly distributed to public at that time. Television means everyone share same show and same idea. It could makes people think same way. Both films treated television as negative impact to human. Cary ignores the new product of television at that time, and Emmi’s son kicks the television screen. The film “Ali:Fear Eats the Soul” is very much a melodramatic film in its way of exaggerating scenes in how long they would last in the moment. In the film “All That Heaven Allows” the director does not do this. Both, however, show control of the scene by really showing it off to the audience which is very good use of mise-en-scene. It’s never a mystery how anyone feels in both melodramatic films. They don’t hold back a single emotion. Everything is put out there for all to see and judge. Emmy goes to the bar to order a coke every time she goes but she never drinks it. This shows that she’s a lonely old lady who just wants to be with company after her first visit which was influenced by the rain pouring and her attraction to the exotic music. Later on she would be motivated to seek out Ali. In both films lonliness is the driving force of both older women to find solace in younger men for some reason. In both films one individual is invited into the other’s home. In both films the older woman character is not at first in love with the younger man but only seeks friendship. This then blooms into love for the man. Both characters in both films don’t see each other that way but grow fond of the idea so they go through with it. I find that both male characters fall in love with the older woman because they found it easy to open up to them. This example is shown in “All That Heaven Allows” when Ron Kirby speaks of his passion of trees and nature to the older woman and she supports him. Also, in “Ali:Fear Eats the Soul” Ali goes to Emmi’s bedroom saying he can’t sleep because he is frustrated of how dull he finds his life in which Emmi comforts him. I believe Ali has been eaten up by fear which is why he seems very unlively and just with no emotion in his eyes. Hence, the title “Ali: Fear Eats the Soul”. This is probably why he doesn’t care what people think of his relationship with Emmi as she does.Both films show disapproval from family and friends about the whole situation at hand based on discrimination and prejudice. I feel the hatred was more better shown towards Ali in the second film. Both films the male character is shown in the end in a bad state but with their lovers by their side. I feel Ali was on a quest for happiness as shown when he goes and pays night visits to the lady who works at the bar. The pursuit of happiness is shown in both films. The emotion of happiness is the ultimate emotion in the melodramatic film which is the emotion most wanted to be achieved by the characters. Some get to have their happy ending at the cost of others. Ali fear eats the soul takes place in Germany in the 70s. A young Moroccan man name Ali moved to Germany to find work. After being there for two years he picks up on the langue. One night Emmi an older woman who is a widow decides to stop at a bar where she hears music playing on her way home from work. One of Ali’s friends asks her to ask Emmi to dance. I’m assuming because she looked lonely just sitting there by herself. They quickly fall in love after Ali takes her home and he stays at her place that night. When Emmi and Ali decided to get married suddenly, surprising her family and friends. They are very upset they even go as far as breaking her TV. She seems not to care very much as of yet. When Emmi goes to celebrate her anniversary with Ali they are alone in the restaurant. There is no one in the restaurant but them and the waiter. It’s also really quite which shows how lonely and by themselves they were. Actually in most of the shots when they’re together they seem to be alone with nothing around them. Ironically they went to one of Hitler’s favorite restaurants which surprised me since Hitler was all about racial purity. She mentions his name a few times in the movie even asking Ali if he knew who Hitler was. Since Emmi is a cleaning lady and Ali is a foreigner they don’t make much money I’m assuming. When they went out to eat they didn’t know what rare or well done meant when the waiter asked them how would they like their food. When all the shaming Emmi was receiving from her family, friends and even the guy who owned the grocery store she used to shop at got to her she wanted to go on a vacation. She thought everything would calm down and people would just get over her marrying a foreigner. Surprisingly when they came back people weren’t shaming her as much. They all were being nice to get something from her that’s why. She didn’t care she was happy people were talking to her. When Emmi and Ali go through some trouble when they came back from their vacation the scene when they first met is kind of repeated. Emmi goes back to the same bar and asks for a coke. She asks the waiter to play a song and it’s the same song they danced to when they first met. Ali asks her to dance again but this time he falls to the floor in pain because of an Ulcer. When the doctor tells Emmi that Ali won’t get better because there is nothing they can do since he is a foreigner this really shows how bad foreigners were treated in Germany. Emmi received a lot of shaming from her family but she still stood by her husband. She did what made her happy and that was marrying Ali. Fear Eats the Soul movie is based on Melodrama genre. To sum up, two foreign immigrants in Germany happen to meet each other by chance, and they start a relationship despite their age difference, and their ethnic background. A lot of people are against their interactions about the couple. They both go through various hardships, but yet they kept being with each other. The main character is Emmi, who is about fifty years old, and she a cleaning lady. Ali is an Arabian with a broken German language, and works as a repairman in a auto shop. He is younger than Emmi. They both get tangled with each other, and like each other, and eventually they get married. The character emotions weren’t repressed. As an example, when invited Ali up to her home, she kept wanting him to stay. She offered him a drink and they were talking, and she made him a bed, where he could sleep the night over. Ali couldn’t sleep and entered, and told Emmi he can’s sleep. They talked with each other about personal things, and they both ended up sleeping with each other. The next morning Ali didn’t repress his feelings to show, that he liked her, and finds her beautiful in her way. Emmi was surprised, but didn’t hide her feelings next morning either. I liked the end scene very much because there they show that both Emmi and Ali don’t repress of what they feel, and think of each other. Ali was playing cards and gambling at the bar, where they first met. Ali lost the game and ran out of bet money, so he sent his friend to go to his mom, and get money from his wife. So the friend did it, and then Emmi came into the bar. She sat down, where she sat the first time, when she came to the bar. She ordered her cola, and Ali came over and asked her to dance. They both went danced, and he told her that he slept with someone else, but he loves her. This shows that this movie a melodrama. Since they don’t hold back any feelings. It is a “Tearjerker”. The stylized mise-en-scene was that Ali was always wearing some dark colorized suits. The first time when Emmi came into the bar, and Ali danced with her. He walked her home afterwards. They entered her building, and while they were waiting for the rain to pass, she said that he should wear lighter color suits. Because dark colors make someone look sad and lonely. Also, when Ali told Emmi that he slept with someone. Emmi told him, that its okay, and she knows that she old and not in a great shape. The domestic sphere was located and based on Emmi’s home, and work, and the bar. The drama evolves in her home mostly. The plot is that Emmi and Ali spontaneously get married. Emmi went to her daughter said, that she fell in love, but her daughter didn’t take it serious. Later after they got married. Emmi invited her children to her home to tell them, that she got married, and introduced her husband to her children. They didn’t take it well at all. One of her son’s even got up, and kicked the tv until it was broken, and stormed out. The children said to her , what a shame. She shouldn’t be doing this. They all left her home. Emmi broke down afterwards and cried. Even the landlord came by and told her she should move out because she is renting it, but she said its her husband. Even her neighbors got very angry and started treating her badly because of Ali. At Emmi’s work where she works with three other ladies to clean apartments. They even started to ignore her and making her an outsider to the cleaning crew. The reversal of the drama is that Emmi broke down crying, that everyone started hating her, and not wanting to talk to her at all. She said to Ali lets go on a vacation, and when we come back everything will be alright. They went on vacation and surprisingly everyone was behaving nicely to her. Emmi’s neighbors were nice to her again. At work her co-workers started talking to her and being nice to her. Even Emmi’s son came back to her to apologize. I think the theme of this movie is “age and ethnicity has no barrier in love,” which is shown when Emmi, a 60 year-old German woman falls in love with Ali, a Moroccan man in his late thirties. The director uses a lot of scenes that attract the audiences’ attention because of the emotion shown by the characters. This movie shows that difference doesn’t matter when you’re in love with each other. Even through all the hate, drama, and discrimination, love still brought Emmi and Ali back together. The director, Rainer Werner Fassbinder, clearly envelops the theme and melodrama. Another thing that interested me was the title “ Fear Eats the Soul.” Rainer does a very good job projecting this in the movie. Emmi always felt alone and was scared to be alone and when she met Ali, her fear for loneliness disappeared. When Ali left Emmi, the fear of loneliness came back, eating her soul. This can also be a potential theme of the movie. I can relate to Emmi and her fear for loneliness to my experience at a boarding school. I became very homesick and it sparked a fear of loneliness in me. When I came home after graduating, that fear of loneliness disappeared and I was extremely happy. One more thing I really liked about this movie was the incorporation of discrimination against Ali for being a foreigner. I love how Rainer tells us that our ethnicity does not matter when it comes to love, by showing Emmi and Ali’s struggles with discrimination and how society dictates their decisions. From the moment this movie begins, its obvious that this is a dark kind and also in a mysterious sense of prospective. We start off not knowing anything about the characters especially the main two characters Emmi and Ali. We witness the first encounter between the two main characters in a kind of awkward way. In other dramas and melodramas, the first encounter or the ”meet-cute” are mostly interesting or more positive in certain cases. It felt like this was a forced meet-cute and it had no meaning to the essence of a melodrama. However, this film did stick to most of the elements of a melodrama. Through the first night together and right to quickly falling in love and the consequences it brought. We know from the beginning that this is a different kind of love between Emmi and Ali. Us finding out that Emmi is a widow and we still don’t know much about Ali other than knowing about his job. He comes off a little mysterious and we start to question, ”What do they see in each other?”” The biggest things that make their love much different is of course the age difference between Emmi and Ali, and the fact to most people they see Ali as an minority and they don’t accept him for the man he really is. He’s not scary he doesn’t bring any harm and its obvious that he is in love with Emmi. Like most other melodramas, it starts off good with the two main characters and they fall in love very quickly and they don’t really know what to expect yet out of this new love and soon marriage. In this case, their love overcame them and they felt the need to get married in order to maintain that love they had between each other. Love also overcame them by not thinking what negative aspects this might bring to each other. For Ali, his friends at the bar/pub will not be happy due to the fact they all were present for their first encounter and they were quick to judge Emmi and didn’t get a chance to even be nice to her. For Emmi, the fact that she has two sons and a daughter with her late husband, they will sure not like what their mother has decided to do and this will come as a ”shock” to them. In the end, their marriage did result in judgement and criticism from each of their peers and surroundings and they were seen as ”freaks” and not the normal kind of people, they were seen before. This resulted in both hard times for Ali and Emmi. This is the downfall of the love they once had. From Emmi not being able to talk to any of her friends or even her own children, things for her go way down. For Ali, he doesn’t seem to like this neglect and he results in cheating on his new wife with his bartender friend and in the end these two are seen not meant for each other. Sorry for the late response. I really enjoyed your article and was thrilled to watch this collection of films. I saw Ali: Fear Eats the Soul earlier this year and seeing the film that inspired Fassbinder was awesome. These films are sending a very important message and are timeless unfortunately. We still see prejudice in the present day. I think Far From Heaven made that point by creating a story from the 50’s in 2002 that was not as foreign as one would hope. Things have progressed since the 50’s but we still see pressure in certain circles to conform. Interracial couples and homosexuality are not fully accepted. The melodrama was a beautiful way to show the horrid reality of prejudice. The highly emotional nature seemed appropriate for such a delicate subject. Fiction, drama and romance appeal to the general public. Unsuspecting viewers may feel more comfortable watching these films rather than a documentary related to prejudice. In this way I think the films were very successful, although it’s hard to say how long viewers remembered the moral of these stories.